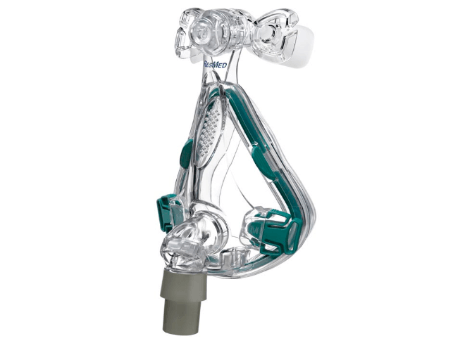 The ResMed Mirage QuattroTM sets the industry standard for CPAP masks. Offering sophisticated design for high performance. The Mirage Quattro is easy to fit and use with set-and-forget headgear clips, plus a choice of 24 forehead support positions to suit your individual facial structure. The Spring AirTM cushion technology is comfortable and also accommodates a wide range of movement during sleep. Flexible. Proven Mirage™ dual-wall cushion with Spring Air technology lets you move around while you’re asleep. Easy to adjust. The unique MicroFit™ dial lets you easily adjust the forehead support to find the fit that best suits your personalised needs.